Morgan mare - photo by Anthony Domire Jr. on Wikipedia (use permitted with attribution). 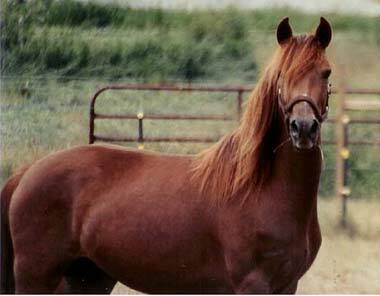 Morgans are descendants of "Figure," a sturdy little bay stallion owned by schoolteacher and singing master Justin Morgan of West Springfield, Massachusetts. Born in 1789, and later known by his master's name - Justin Morgan - this horse outran and outworked any horse that was brought against him.